You had a little sneak peak at my new bag last week so it's only fair I share the details. I often use a small crossover bag for short wanders but for a longer outing it's important to go prepared which tends to call for a larger bag. 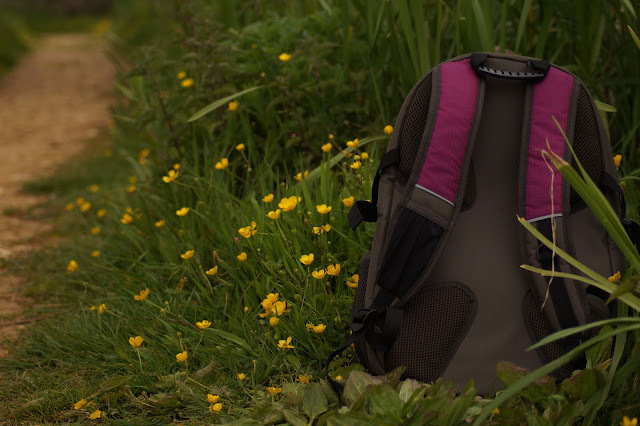 In terms of comfort and practicality you can't beat a good backpack and this Merlin 35 litre rucksack* from Mountain Warehouse ticks all the boxes. Firstly, it's roomy, so you can fit a load of items inside if you have quite a lot of kit, yet it looks neat and tidy; there are drink holder nets either side so you can keep your bottles easily to hand (and saves any little leaks inside your bag too). There are handy zipped compartments at the front and inside to keep small valuables to hand. I always ensure my keys and phone are super safe. I really appreciate the padded straps and breathable padded back as carrying a bag around for a few hours can weigh you down so any extra comfort helps! So what do I keep in my rucksack? 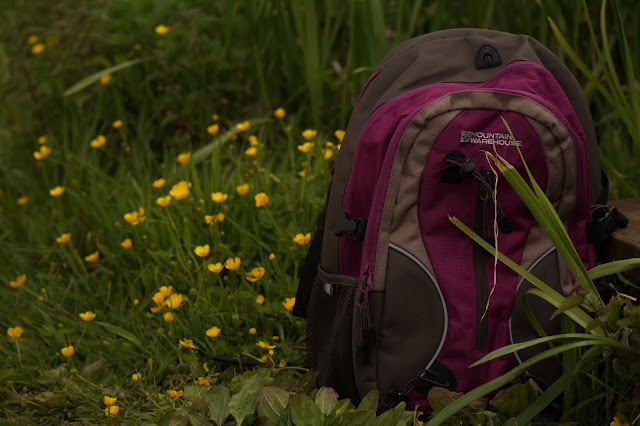 Well, for a couple of hours out and about in flat terrain in spring & summer (oh yes, I'm being that specific; if I was to go walking in the Lake District for example I would take an extra communication device and GPS and basic first aid supplies etc.). I always take a jumper and a waterproof jacket as even if setting out in good weather things can change and it's no fun getting cold and wet, a lightweight waterproof jacket takes up very little space. A pen and mini notepad never go amiss, my purse, phone and keys of course. My camera goes back inside my bag if it rains and I keep any spare lenses in my bag, ideally wrapped in my jumper so it's kept safe. 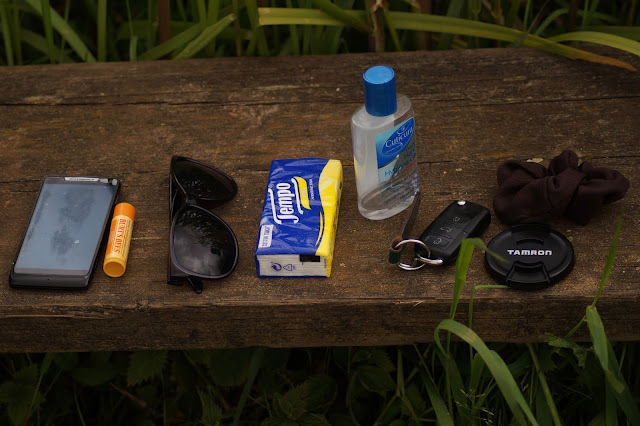 A packet of tissues and hand cleanser, lip balm, hair tie and sunglasses are basics. I have on bottle of water, but on a hot day I would take more as staying hydrated is smart and of course some food in case you are out longer than expected, something like a cereal bar or two. Bug spray is going to be a priority after getting bitten so much last year (ouch), so both inspect repellent and soother are coming with me at all times! 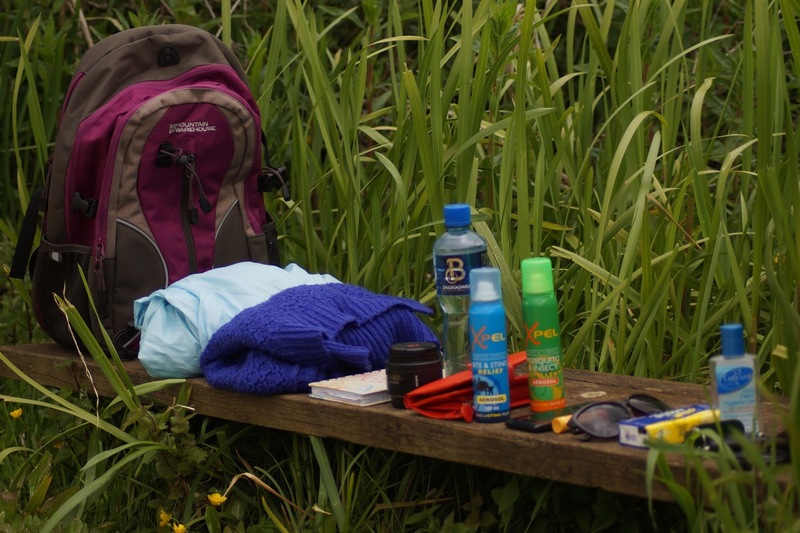 It's easy to over pack or miss out things which later transpire to be essentials so my main advice is to use your common sense; take note of where you're heading and the conditions. 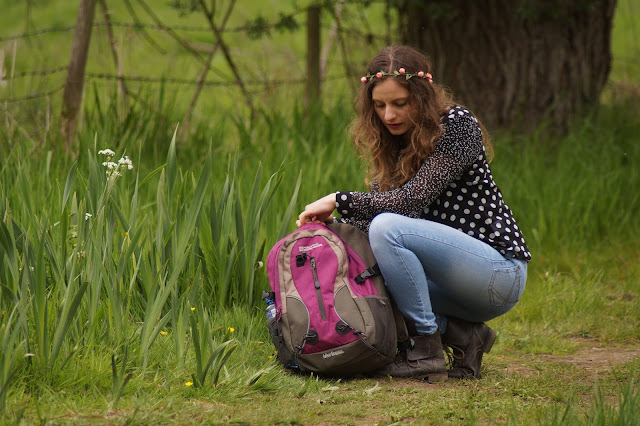 Are you a fan of rucksacks? All good advice. I always take a scarf too, some lightweight but big so it can double as blanket for sitting on, keeping warm or a sling if things go amiss!